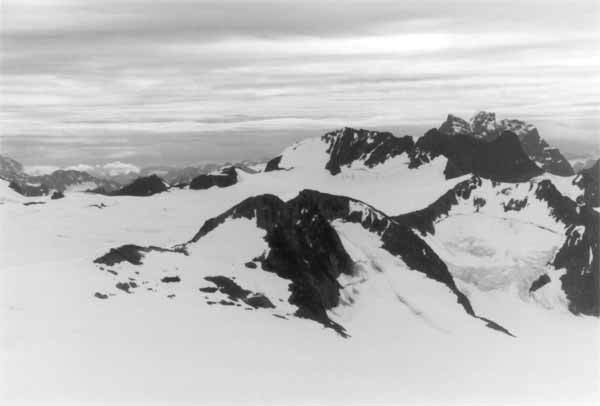 Devil's Paw is a landmark that can be seen from many places on the Icefield. It appears in the upper right of this picture taken from Mt. Moore.